It’s like the little engine that could…and this one does! The Kitchen Engine provides you with the power source behind your kitchen needs. 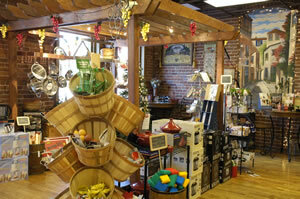 This cute family owned and operated kitchen shop is located in Spokane’s historic Flour Mill, right on the banks of the Spokane River a stone’s throw from downtown. 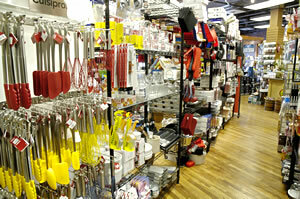 Their wide variety of appliances help mix fun into cooking while their bakeware collections help you cook like a pro. Periodic baking demonstrations at the shop using the BOSCH Universal mixer and the Nutrimill will help bring out those innate Cordon Bleu skills! 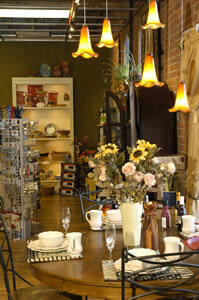 Looking for kitchen collectables? The Kitchen Engine features Tracy Potter fine dinnerware and a unique collection of hand-painted Polish Pottery. Knives to fit every kitchen-cutting job are next to as many kitchen gadgets as you can imagine. 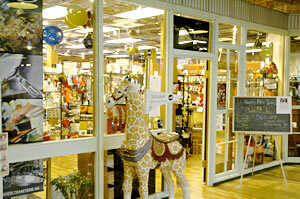 A growing assortment of spices, teas and locally roasted coffee keeps the store fresh and smelling oh so good. This is also the outlet for internationally famous ZAK Design wear. This Spokane company designs and manufactures colorful porcelain and high quality plastic bowls, gadgets and bakeware. Take home a Spokane original. 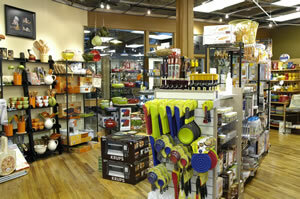 With its warm, colorful interior, helpful staff and top quality merchandise this shop is definitely on the itinerary for the kitchen enthusiast. Drop by, have some coffee and get your kitchen on track at the Kitchen Engine!